Un-marked carriage route, see map for details and numbered major junctions. 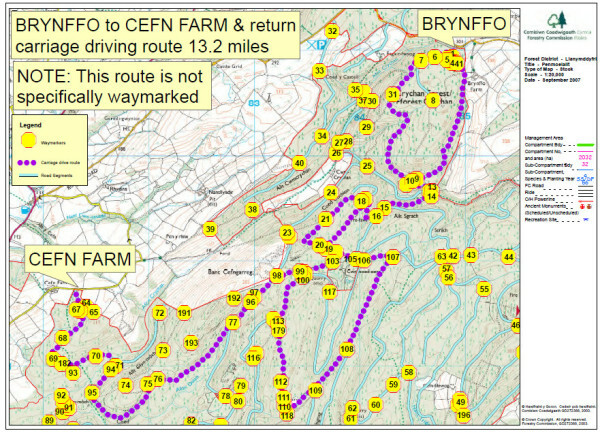 Start at Cefn Farm and enjoy the forestry tracks and views. The furthest point at Brynffo Car Park with its hitching rails and picnic tables makes an ideal halfway halt. Have you been on this trail? 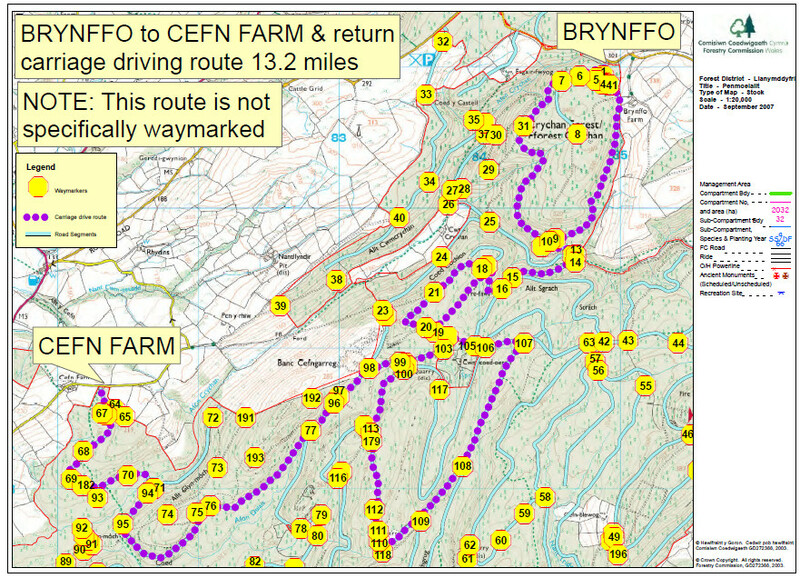 Please send us your photos of your trip to Crychan. If you experienced a major problem with a trail (like a tree down blocking a trail) please let us know so we can get it rectified.